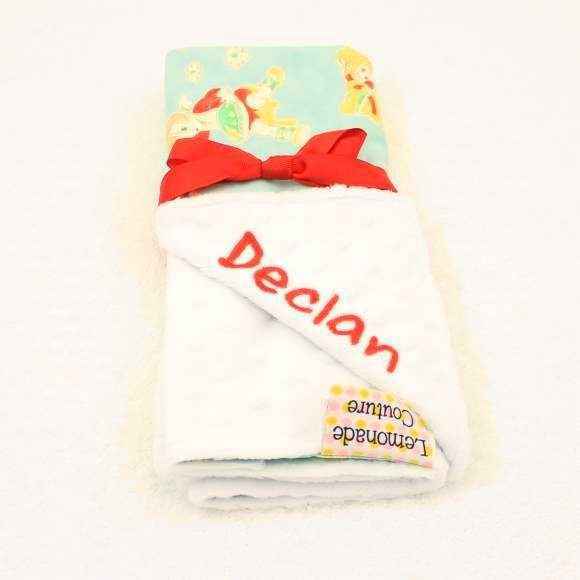 Shop unique personalized baby girl blankets: cute personalized embroidered boutique baby blankets monogrammed with a name. 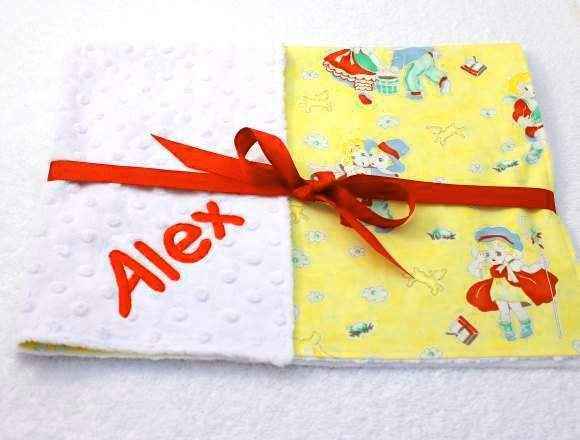 Explore our luxuriously soft super popular minky personalized baby girl blankets, for a cool personal boutique baby gift. 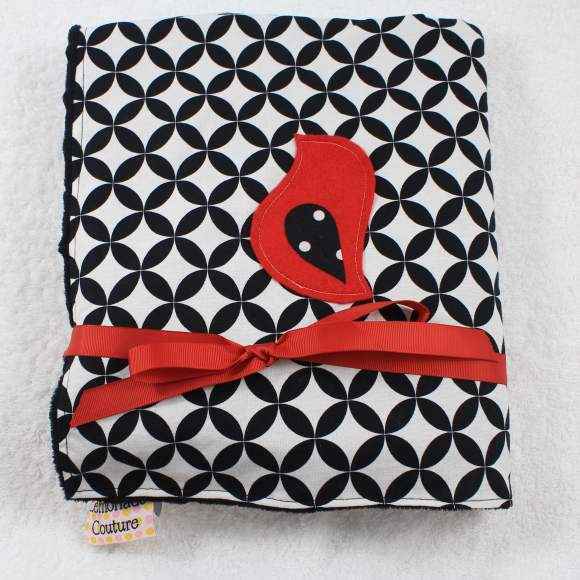 Black Damask Minky Baby Blanket (American Made) (Available Personalized) - ONLY ONE LEFT! 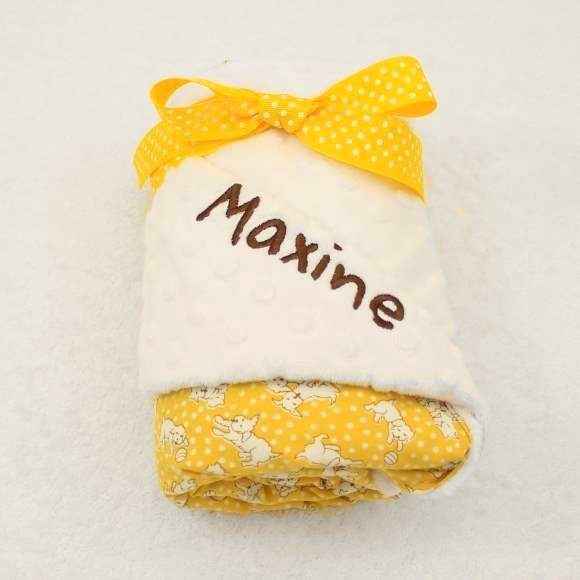 Honeycomb Minky Baby Girl Stroller Blanket (American Made) (Available Embroidered with a Name) - ONLY ONE LEFT! 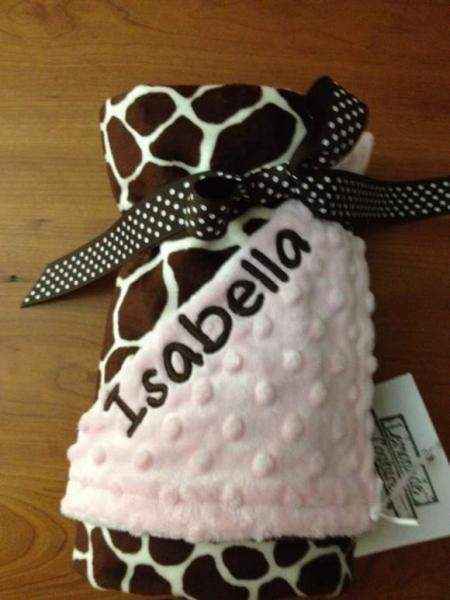 Shop unique personalized baby girl boutique blankets: soft & snuggly baby blankets, available embroidered with a name. 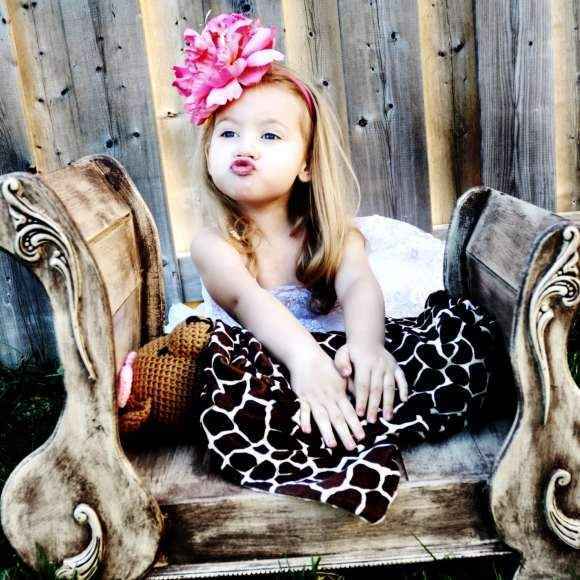 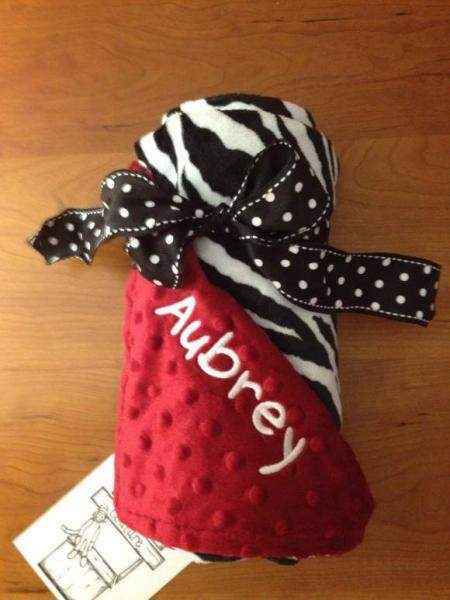 Looking for a cool personalized baby girl gift? 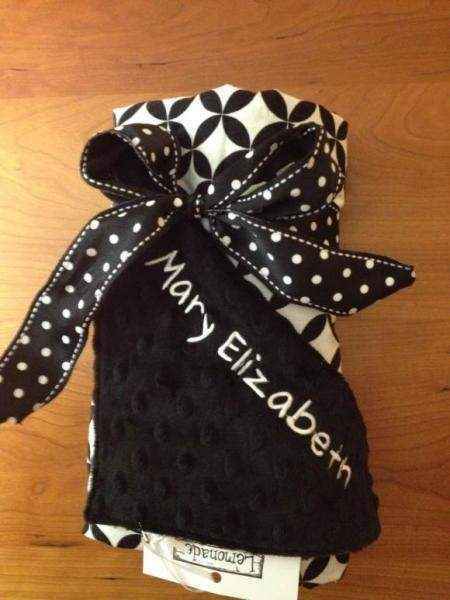 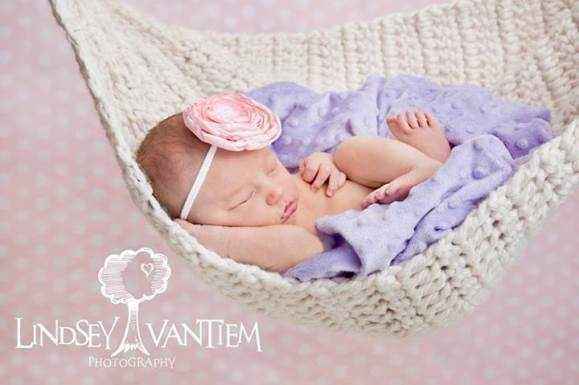 Our cute monogrammed minky blankets for girls are made in the USA & make soft cozy personalized newborn baby girl gifts. 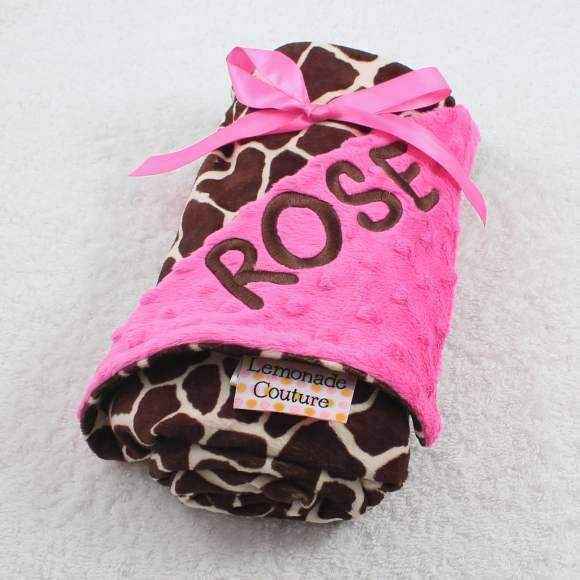 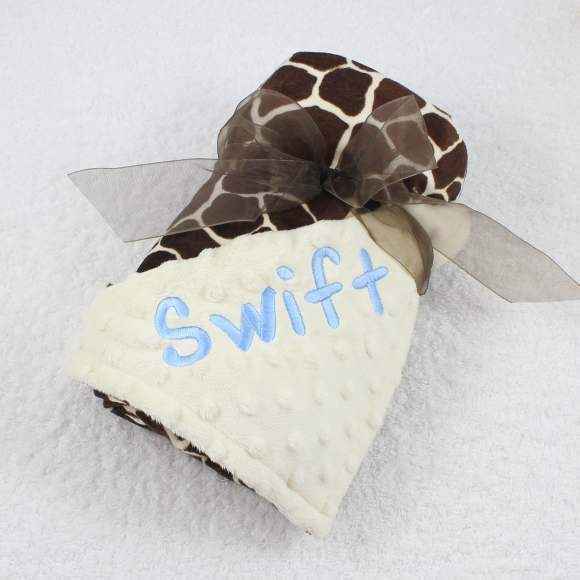 Our popular unique minky double-sided baby girl newborn boutique blankets come in giraffe & zebra prints and are available with names. 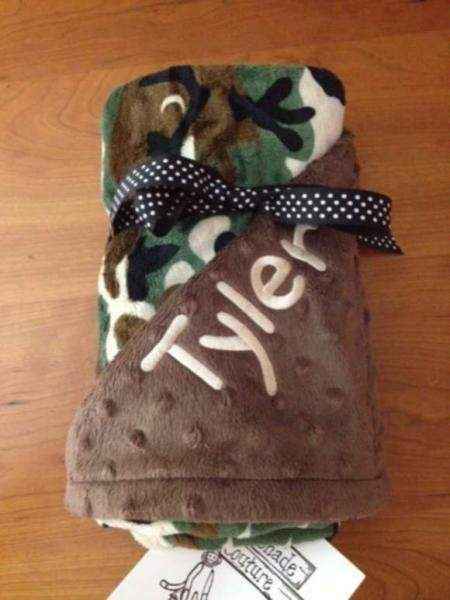 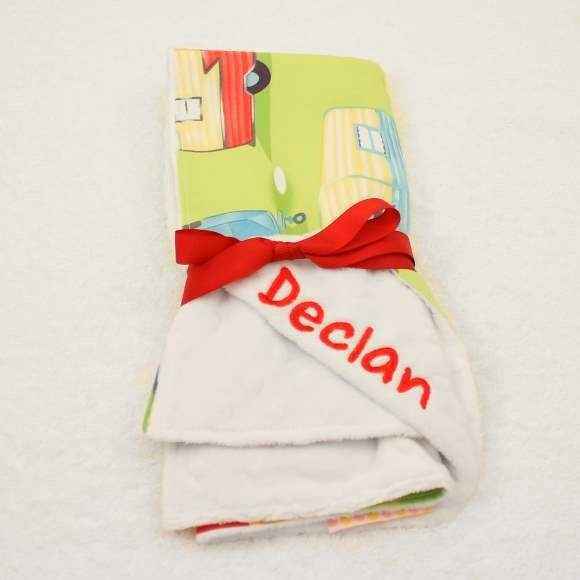 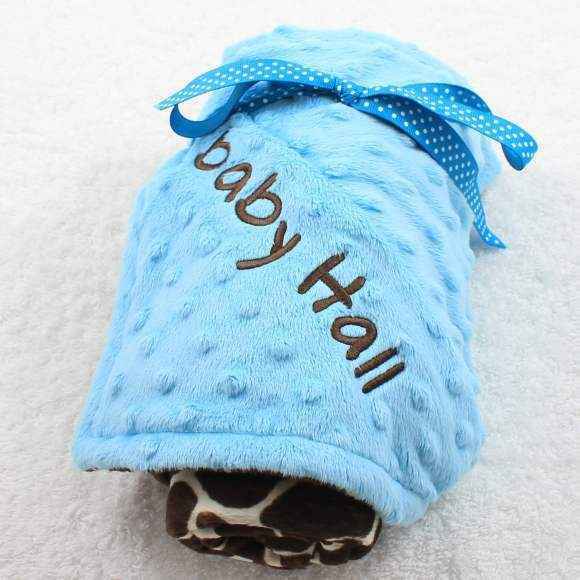 We also offer unique baby girl stroller blankets with personalization available, in cute cotton prints with soft minky on the other side. 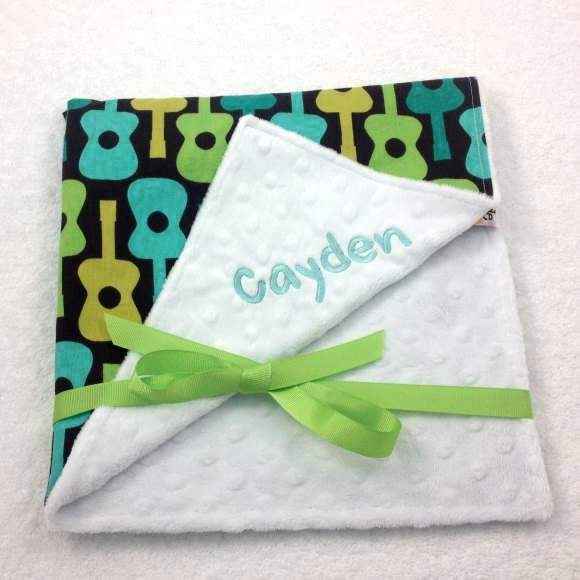 Our full-sized minky boutique baby blankets are a favorite fun personalized baby girl gift. 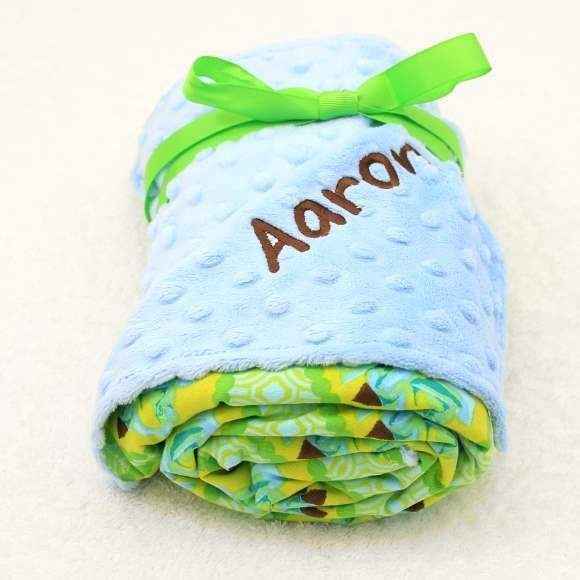 Our minky baby girl travel blankets can double as security blankets, and are a unique personalized add-on gift when you want your baby gift to include something cute & personalized. 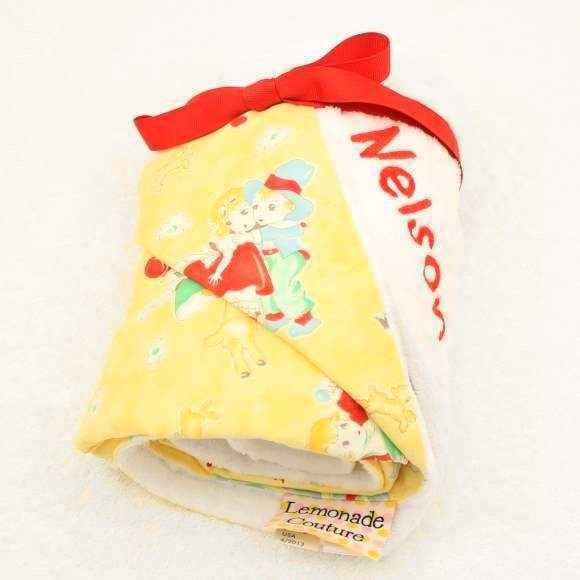 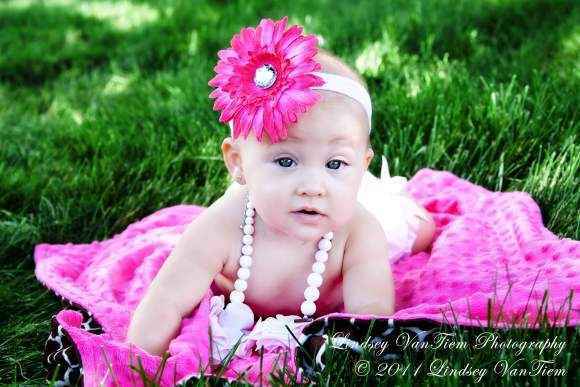 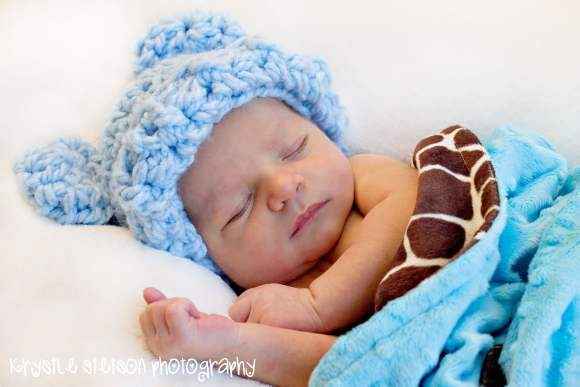 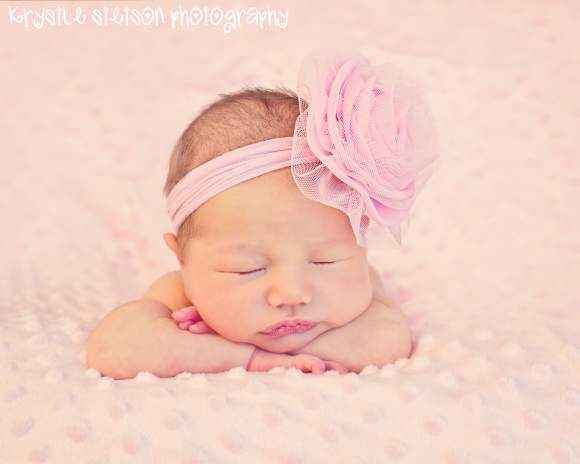 Lemonade Couture is your one-stop shop for unique super soft personalized baby girl blankets, with a fast turnaround.